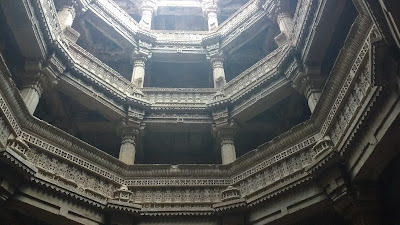 Step-wells are an architecture phenomenon unique to the hot, semi-arid regions of west-central India. 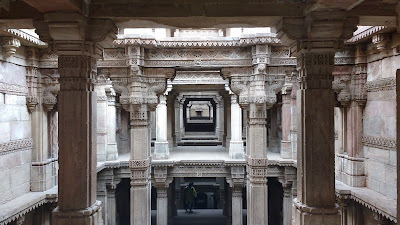 Originally conceived as a convenient way to fetch water - you could just walk in, as compared to a draw-well - they slowly evolved over time as centres for gatherings owing to the coolness of the moist earth. 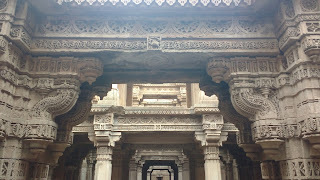 This led to an artistic evolution with the ornate step-wells being the pride of the land and their builders. 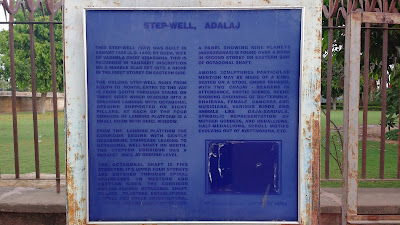 Many of the step-wells have been associated with royalty or rich tradesmen. 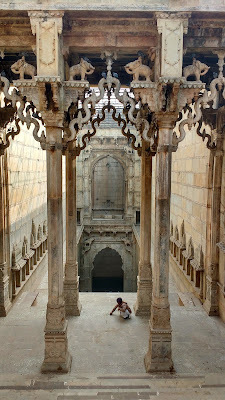 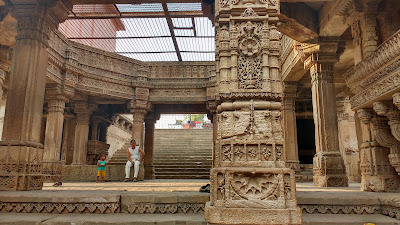 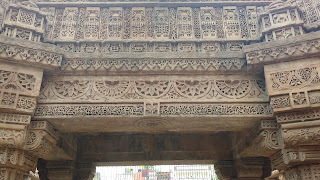 This post covers the beautiful step-well of Adalaj, not far from Ahmedabad. 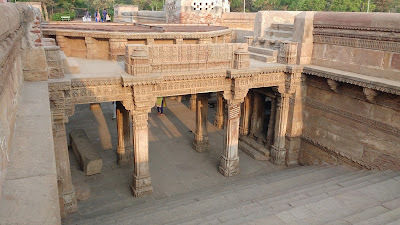 ... And Sultan Mahmud Begada attacked the Vaghela kingdom. 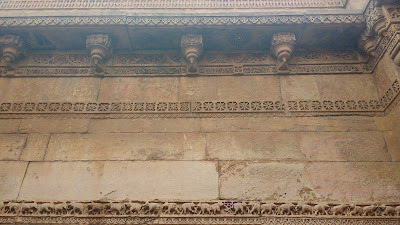 The Sultan proposed that queen Ruda join his harem. 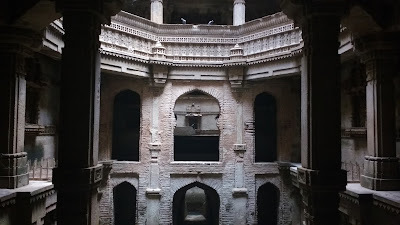 She agreed on the condition that the well be completed. 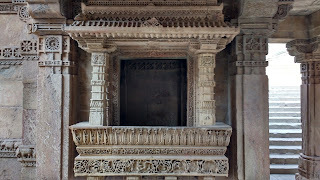 However, the artisans refused and were promptly executed. 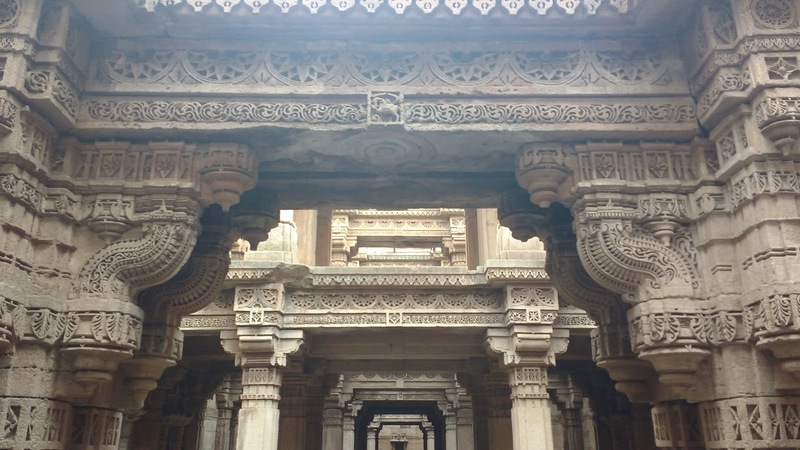 Adalaj is located very close to Ahmedabad off the NH147 to Gandhinagar and can be easily covered with a rented cab or rickshaw. 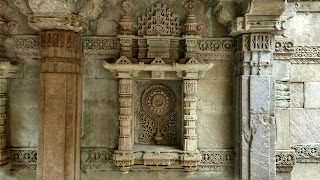 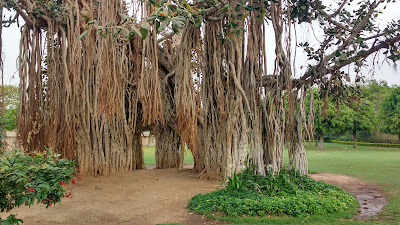 Nice place to visit when in Ahmadabad.